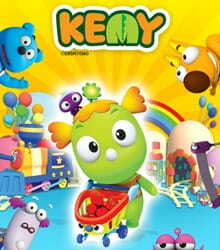 Kemy is an animation series with some educational undertones targeting 5~7-year-old kids. The entire series is set against the backdrop of a supermarket. Viewing the animations, children will be able to imagine themselves in amidst all a supermarket has to offer. Children can join Kemy and his quest to figure out the answers to everyday questions. Buka and Chaka do not reprise their roles in this season.